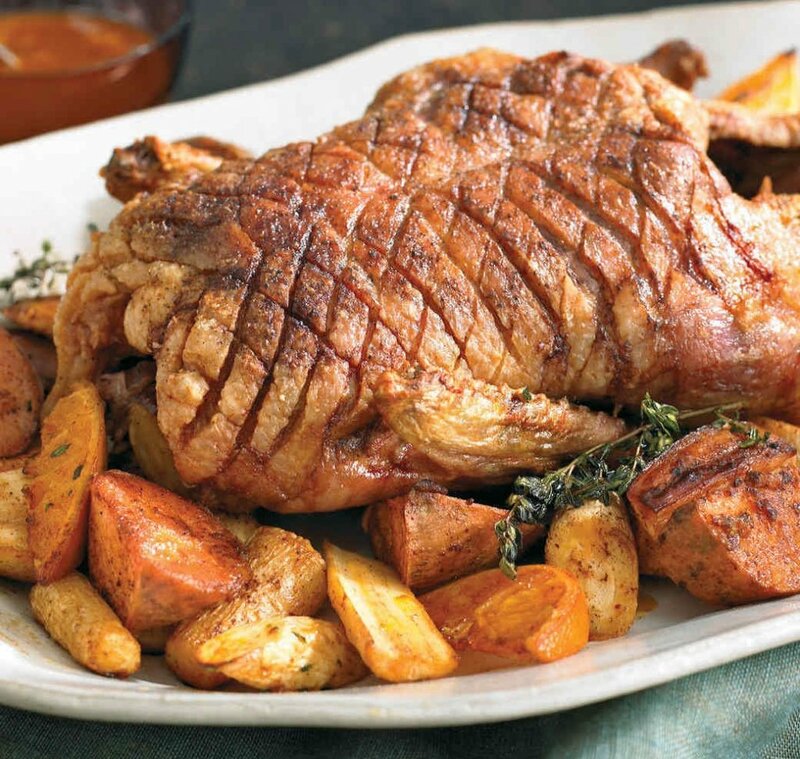 Duck is one of my favourite meats (being from the South-West of France). I still think it’s highly underrated, for such a tasty, versatile meat. Its gamey flavours, and the wide range of dishes it can be used in, make it a really interesting one when it comes to wine pairing. 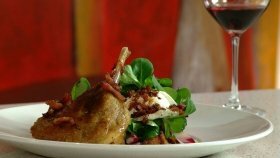 In this guide, I will compile the most popular duck recipes, and for each a few ideas of the best wine with that duck recipe. Is Pinot Noir the “be all and end all”? When talking about duck and wine pairing, Pinot Noir tends to be the blanket answer. And there is certainly a lot of sense in that recommendation. Duck tends to be a little fatty, rich but not as strong as game, and either pan fried or roasted. As a result, choosing a wine that has good acidity and freshness will help to balance the fat. Fruity and smoky aromas will pair well with the meat flavors. But because the fat content isn’t very high, you want to keep the tannins medium to low. And there you have it, we’ve just described the taste profile of Pinot Noir (broadly speaking of course). So while I agree that Pinot Noir work well with duck, I’ll try and go in a bit more detail and offer alternative suggestions depending on the recipe. Ok, let’s start with a quintessential South-West of France recipe. 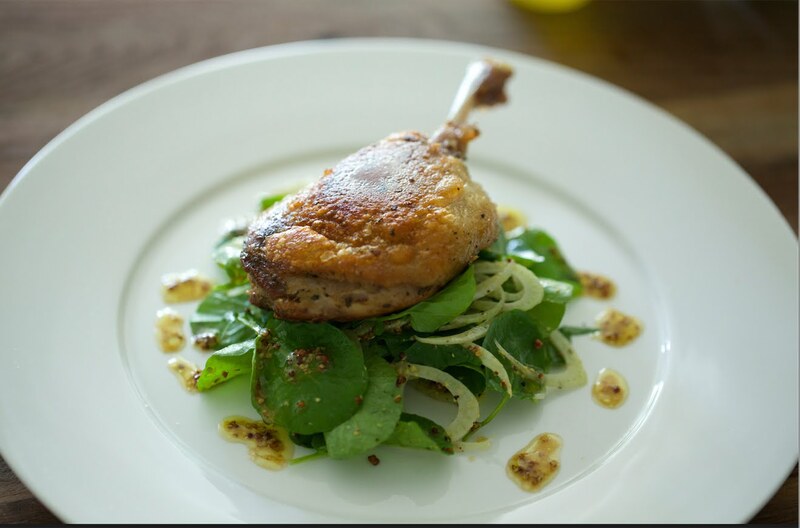 Duck confit is a staple in the region of Gascony, which is a triangle between the cities of Bordeaux, Toulouse and Bayonne. Usually served either with a salad, or potatoes (or both), duck confit usually consists of either a whole leg or a piece of duck breast that has been slow-cooked in its own fat. I like to pair regional dishes with wines form that region, as they have usually evolved to go well with one another. This is an example where this rule holds true. Get yourself a wine from the Madiran appellation, or Marcillac. These appellations produce wines with a strong tannic structure, and aromas of dark fruits, with notes of pepper and spices, which will match the fatness of this dish beautifully. If you wish to spend a little more, and prefer wines that are a little less rugged, you could also opt for a red wine form the Rhône valley, especially the southern appellations such as Vacqueyras or Gigondas. 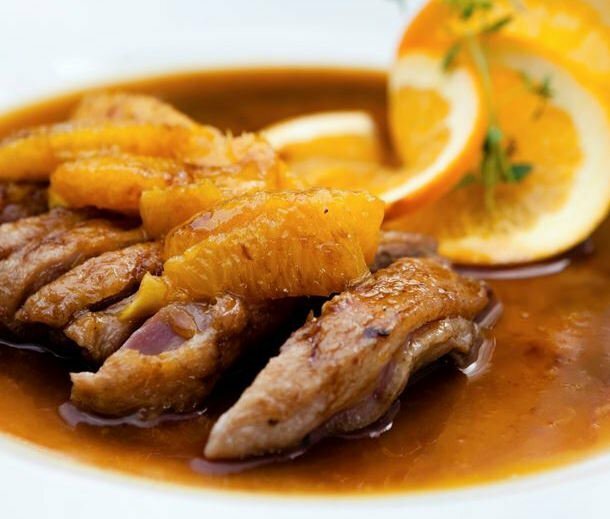 Next up is another classic duck recipe: duck with orange sauce. So what’s the best wine pairing with this duck recipe? First, it helps to know how the dish is prepared. Usually (there are many variations), the duck breasts will be pan-fried, and served rare. The sauce is usually made by deglazing the pan containing the cooking juices with orange juice, and adding bits of orange. So what we end up with is a dish with a bit of acidity, distinct orange notes, and of course the subtle gamey aromas of the duck itself. Here, we can go with either red or white wine depending on your preference. For whites, I would tend to recommend a Pinot Gris from Alsace, or a Gewürztraminer. What I’m looking for is a wine with enough body to match the meat, enough aromas to match the orange, and some richness to match the fat from the sauce and meat. As for red options, I would aim for a similar balance as mentioned with the white, and also keep the tannins lows, so as not to clash with the dish. Great options would be young Beaujolais. Treat yourself to an appellation like Morgon or a Brouilly. Outside of France, appellations in Piedmont such as Barbaresco or Barolo will also be great choices (albeit a bit more pricey). There can be a range of recipes based on roast duck, all with different glazes and sides. However it’s fair to say that the roasting will bring distinct aromas to the duck. I would tend to stick with red wine suggestions and as previously mentioned, Pinot Noirs, either from Burgundy, or from the New World (U.S.A., New Zealand) would work very well. If you want something a bit more dark and intense, you could go with a Mourvèdre from the south of France. This will work particularly well if you have a thick sauce or gravy. An appellation such as Bandol would be ideal. In Spain, the grape variety is known as Monastrell, and wines from Valencia or Alicante would be a great pick too. Let’s now travel East and look at more spicy recipes. 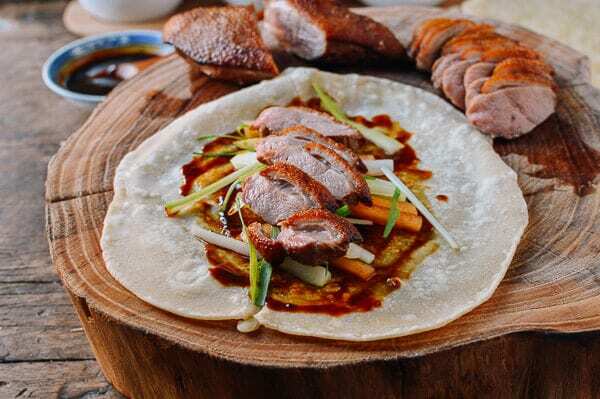 A classic recipe, and a favourite across Europe and the U.S. is Peking Duck. Whilst the duck will be the star of the show, the plum sauce is the one to think about when it comes to the wine. It’s wise to choose something with a little bit more sweetness to match the sauce. And here, white wines can definitely work well. White wine suggestions: you can go back to the white wine suggestions from the “Duck in orange sauce” paragraph. Another suggestions would be Vouvray. If you don’t know this appellation, I would highly recommend you try it. It’s one of my favourites, and I tasted some beautiful examples no later than yesterday. Pick a dry, or off-dry wine. The slight sweetness will pair well with the spices and sauce, yet the wine’s acidity and body will hold on to the dish’s overall intensity. For something more “conventional”, I would recommend a New World Sauvignon Blanc (think Marlborough for example), or even better, a Chenin Blanc from South Africa. In red, you could choose a good Shiraz. Either go for a Rhônes appellation such as Côte Rotie, Saint Joseph or Hermitage. Alternatively, you could also pick a New World option, the Barossa Valley has become synonym with high quality Shiraz and is definitely a safe appellation to choose from. Alternatively, find yourself a good quality Zinfandel from the U.S.A. and you’ll be in for a beautiful gastronomical experience. When in doubt, you can always go to Pinoit Noir, and you’ll be sure to get a great pairing, but as you’ve seen there’s room to be more adventurous with duck. I hope you’ve found this useful, and I’d love to hear about some pairings you’ve tried and loved. I’m even curious to hear about the not-so-successful ones to. Leave me a comment below to share your thoughts with me and the community.